A vivid narrative describing the simple cycle of life in a village, which is dictated by the rhythm of work in the fields, changes in the weather and the regular commitment of looking after animals and young and old family members. The Village is set in the modern-day rural area of Vysočina and is populated by family groups whose lives and work the story revolves around. It is a first-person narrative related by different members of three generations of both sexes: grandmothers, grandfathers, mothers and sons. What they all have in common is the environment they were born into, where most of them have remained as they are unable to do otherwise. The ties that bind them to the village are not only familial and regional, but also linguistic. The Village is narrated in the Horácko dialect, or what remains of it. Dvořáková not only differentiates between the various generations by their changing relationship towards work, the land, domestic animals, the landscape, the fields and faith, or their attitude towards their parents and grandparents, but also by language – i.e. the extent to which their speech preserves elements of the dialect. These people cannot see beyond the horizon of the neighbouring forest for their one pub and one shop. As the author says, they didn’t just put on tracksuit bottoms, they were born into them. Even though they all know each other’s business, they know little of each other’s feelings. The countryside has rules which cannot be ignored if you want to live there. You have to leave the city behind. Petra Dvořáková (b. 1977) is a novelist and scriptwriter. 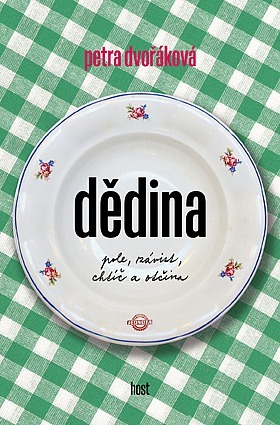 Readers first became aware of her though her book of interviews Proměněné sny (Transformed Dreams, 2006), for which she won a Magnesia Litera prize. She continued to attract attention with Já jsem hlad (I am Hunger, 2009) about anorexia and Sítě — příběhy (ne)sebevědomí (The Net – Stories of (a Lack of) Confidence, 2016) about low self-esteem. The children’s book Julie mezi slovy (Julie and Words, 2013) was awarded a Golden Ribbon (for a work of fiction for young readers) and the Teachers’ Prize for her contribution to the development of children’s reading. Other books for young readers include Flouk a Líla (Flouk and Líla, 2015) and Každý má svou lajnu (Everyone Has a Line to Hold, 2017). The author regularly works with Czech Television and Czech Radio.